Mike Taylor's friend Matt, a commercial airline pilot, joined Behind The Idea to give a pilot's perspective on the 737 MAX crashes. This transcript provides the full discussion, including the irony that pilots tend to consider Boeing aircraft easier to take over than the more software-dependent Airbus. We discuss the mechanics of flight, how pilot and plane work together, and consider what might have gone wrong during the Ethiopian Airlines and Lion Air crashes. Editors' Note: This is the transcript version of the podcast we published earlier today, where Mike Taylor spoke to a friend, Matt, who flies planes for a major US airline (we withheld Matt's last name so he could speak about these issues). The transcript may not be perfect due to the sound on the podcast, but we hope it's helpful in conjunction with the podcast. Daniel Shvartsman: It’s a bonus edition of Behind the Idea. My colleague Mike spoke to Matt, a pilot friend of his, about the Boeing 737 MAX crash to get a perspective from inside the cockpit. Matt talked about what he expects from the aircraft manufacturer as far as safety protocols. Matt: Kind of what I hear, and the way I think about it is, have you designed the plane in a way that’s intuitive to fly, right? Have you designed it in a way, so if something goes wrong a human being, whether they are pilot or not, that's got some -- the right level of training on the thing, is going to kind of know to go there -- of the core responses and exit. DS: Later on, he talks about what he would watch for as a bad sign in the crash investigation. Matt: I personally would -- if that system was in there and they didn’t know about it, then that’s a big deal. DS: The intricacy of modern aircrafts is growing, and with that the importance of proper training and communication to pilots and all parties involved. Does that mean that Boeing got it wrong? Listen in to hear what a pilot thinks on today’s Behind the Idea. 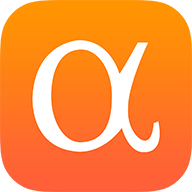 Mike Taylor: Welcome to Behind the Idea, the podcast where we look at ideas from the Seeking Alpha ecosystem to find out what makes successful analysis work. I'm Mike Taylor, and I'm here today with my friend Matt who is a commercial airline pilot and together we’re going to talk a little bit more about some of the facts and analytical considerations from the pilot’s perspective around the story of Boeing and the recent crashes related to the 737 MAX, so welcome Matt. MT: Great. Matt actually just took me out in a very small plane, on a little flight and we pulled some G’s and I got a little green, but I was grateful for the experience. It was so cool to see how pilots operate planes first hand. So thanks for that. MT: So okay I thought I would -- we would just start with, what’s the difference between Boeing and Airbus? Is it kind of like a Mac versus PC thing or from the pilot’s perspective, what’s the difference? Matt: It is kind of like a Mac versus PC thing I think. I mean obviously they both serve the same function but there has historically been a little different philosophy, in how they make the planes, from our perspective anyway. I think a lot of pilots think Boeing has designed their planes for pilots to have a whole lot of control. And it will give you warnings and ideas but for the most part the pilots are in control of the plane. Airbus has tried very hard to design in a lot of safety measures. So since many of the issues with aircraft in the past have been pilot error, Airbus decided to focus on that and there’s a lot of safety measures put in place in Airbus to prevent you from exceeding wherever challenges they come up with. MT: Boeing doesn’t have a tray table? MT: Can you eat off the tray table? Matt: Of course you can eat off the tray table. Matt: Pretty constant attention, but you can still eat. MT: Yeah, it’s pretty long flights. Matt: So all the crazy technology we tend to focus on the silly stuff. Matt: I'm not. I’ve never flown the 73 of any sorts, and not the 737 MAX or any 737. I currently fly an Airbus. I have flown an MD-88 in the past. It was a MD-88, MD-90 McDonnell Douglas was acquired by Boeing. So it’s a Boeing product. And so I’ve got a kind of an understanding. I have been in the cockpit. So I’ve been in the cockpit of a Max, but I’ve been in a lot of 737s. Matt: And basically they’re remarkable similar. MT: So what do you think of -- what do you think of those planes? Matt: They’re great. They’re good planes. They’re -- the Airbuses have a little more like glass screen push button type feel. The Boeings you can kind of see some things moving, the ones that I’ve seen, they’ve been like a yoke. So it’s kind of like a steering wheel. Whereas Airbus has a little joystick on the side. It’s a different means of flying, but yeah, they’re both -- they’re all great planes. Matt: Yeah, they never released findings. They don’t know exactly what happened, they are lot of presumptions. Matt: Taking off, yeah, it’s the most dangerous. MT: But I think the crux kind of that we’re always trying to get at is how much of this is sort of the manufacturer’s responsibility and how much of this is a pilot’s responsibility and everyone else who is involved in the whole process? So I think one thing that’ll be interesting is the kind of, so I guess take us through a little bit the take-off process and sort of where you’re interacting with the different software and products and the plane and just how that works from your point of view? Matt: Sure, okay. So I heard -- there’s a couple of things, I sort of heard, and want to respond to while you are talking about that. One is, when you look at responsibility, kind of what I hear and the way I think about it is have you designed the plane in a way that’s intuitive to fly, right. Have you designed it in a way so if something goes wrong, a human being whether they are a pilot or not, that's got some -- the right level of the training on the thing is going to kind of know to go their core responses and exit. And like the plane we just flew was a really simple plane. It’s got a stick in the middle that’s connected to all the control services and you’re physically moving parts of the plane when you move that stick. These new planes, these big airlines that we fly now, they’ve been designed with more and more safety measures, and more and more systems. They are super, super complex now. To some extent what that does is make them easier to fly, so that as you go along, it’s a lot of automation. So I'm flying along, watch plane cruise, I'm just monitoring systems. Your plane’s doing the things that I set it up to do on the ground. And I make changes along the way but for the most part it’s on the course that I set it on and as long as aircraft control, or weather or something else doesn’t intervene, it’s just kind of do exactly what I told it to do. And I watch it just to make sure nothing goes wrong. And if something goes wrong, I take over. If something were to go wrong, I want the plane to be designed so that it’s easy to figure out what happened, and then easy to correct that problem, as easy as possible to correct that problem. And if it gets confusing -- and most of the time -- most of the crashes I’ve seen is, is something either was a really bad error, or something broke. But often times lately the ones we’ve seen have been things where the plane does something strange and the pilots don’t know exactly how to -- what’s going on. So it takes a period of time for them to adapt to whatever the issue is. And that’s the dangerous time. So they don’t know what to do yet. They don’t know what the problem is, they don't know how they can solve it. Most of time, you got plenty of time. But most of time, there’s a huge book full of, what to do in order and you just follow the list, and that’s what they want us to do. Every now and then there’s a no time situation where you just have to react and go back to the things you learned when you were flying little planes, like we just did. And those things are really, really simple. It’s you need air speed, you need enough air going over the waves, keep the wings working, so you don’t stop and you don't fly under things. It’s just real simple. You don’t pull up too hard. It’s nice and easy moves. If you were to stop, you run on air like you push the nose over and you get a little more air speed, it’s all kind of like day one stuff. So if you want to get really, really scared in a situation, that you had no time for you’re going to revert to whatever that stuff that you know. Most of the planes I’ve flown as a commercial pilot have had all that built in, and worst case scenario and there’s few times I think in a simulator and training, when they start failing things, make all the bells and whistles go off and trying to get to us. When that happens, worst case scenario, I always click everything off, and just go back to like it was a plane, like the one we were just flying, where I just put the nose level on the horizon, make sure it’s got enough power, the air’s going up the wings, that airplane will fly, you create that way, and off you go. What I’ve seen is just -- and it’s Airbus and Boeing, they both have these systems in place. They put in something to keep you from making a stupid mistake, and there have been issues with pilots making stupid mistakes. But they put in a system to prevent that which is great idea. But they did not communicate it or sometimes people aren’t trained well enough, or they’re just not aware what happened. I think the question was -- next question was what happens on take-off? So you basically if I were to start from the beginning of take-off role, is sitting on the runway. You get cleared, you put up the thrust, so you basically step on the gas. They’re jet engines, so they take a second to screw up, but you will be going faster and faster and then you got a lot of force coming out of the back of plane. The plane slowly starts to roll, builds up speed. There’s a speed at which you’ve got, you’re right at the plane where you got about enough speed to take off and they have a rotational speed. So since these are really big heavy airplanes, you have to get at that speed before you lift the nose off the ground. Right, it’s not quite enough to get off the ground yet, usually. But it’s enough to get the nose off the ground. So you start doing that and then by the time the nose comes off the ground you are going fast enough to take-off, usually. So you -- we call that out. We set it as a little bug, so it’s set the thrust, you start -- whoever is flying watches outside. The person inside is watching speed and the engines throttle stick and then looking for errors, and then as you get to that speed they say B1 rotate. B1 is basically is going so fast that at this point if anything goes wrong, I'm going to take off. And like because -- I might not enough runway to stop. So at that point you take your hand off the gas pedal, it’s a thrust lever, you take your hand off the gas and then shortly thereafter, the guide says rotate and then you pull smoothly, and gently back on the stick and you raise up. And then you fly at -- depending on the plane you fly at some angle to the ground, and it’s displayed on your monitor. And as you pull away from the air, you’re watching the air speed and make sure it’s always going in the right direction and you’re watching your altitude to make sure it’s climbing and then depending on the type of day and what you are doing, you either keep doing it by hand and just make sure those are all within range or at some point you reach out and hit autopilot and then it’s going to do whatever you programmed it to do on the ground. And autopilots are dumb they just do what we tell them to do. They are not a magical box that just flies the plane. They follow a series of instructions that we gave them. So in that situation you got to set to fly a -- like a lateral course. So it’s going to turn left or right at a certain point and then sometimes you have them set to go up or down at certain rates. So if the autopilot, it does it’s thing and off you go. While you’re in that take-off realm, you’re mostly concerned about maintaining enough air speed so that you don’t stop, and climbing fast enough so you don’t hit anything, that’s around you, because when you run around the runway it's protected. But if you are in New York you only go so far you got to get ready. So you do that and it’s usually about a 1,000 feet. So you kind of steeply to get away from the ground, and then at about a thousand feet, unless there is something really tall around you, you level off a little bit, and you pull the power back a little bit and you start pulling up the flaps and all the things that helped you get off the ground quickly. Then you accelerate, and then you basically start climbing again. So the idea is you climb a little faster, because that air speed is just as important, it's an air speed-altitude trade off. So as you do that, you take off, you hit about 2,000 or 3,000 feet is probably where I’d say your take off has kind of stopped and you are starting to do just a first climb, first real climb. MT: And how long does that take to do? Matt: To get to 2,000 or 3,000 feet? Matt: A minute or two minutes, that’s -- within a couple of minutes or even less. So you get up to -- so that point you keep climbing, you get to about 10,000, and then you speed up a lot more, there's like speed limit to 10,000 feet, and then off you go. So it’s probably it’s one of the easier parts of flying, the cruise is easiest where you’re sitting there. But taking off is probably one of the easier things to do generally. But it's probably the most dangerous time period, only because you’re close to the ground, you’re slow and you’re flying away from the runway. Whereas if you’re coming into land you’re pointing at the runway, like you’re still getting close to the ground slow, but you got -- you’re going in the right direction. MT: There’s a safe zone in front of you. Matt: Yeah, there’s a safe zone in front of you. So barring completely running out of power you can probably get to where you are going. So for that reason it’s the realm where you do have to be really cognizant, because if something were to happen in that little time, you get less time to react to it, than anywhere else. It’s like -- it's the only reason, it's not -- otherwise it’s not really dangerous, it’s just that you’re in that rough, the tight window, yeah. And if you are at cruise, if something happened at 36,000 feet, you’re way above the earth. It’s going to take the time for the plane, you’re just going to glide down in about 20-30 minutes before you come down. So you’ve got time. MT: Right, okay, interesting. So one thing, I think that keeps coming out, is kind of the training. I'm interested in kind of, for you and the plane, the Airbus that you fly, how often you get these updates, and how often you kind of need to relearn something, or factor something new or if they change the software, change something else about how the plane kind of operates. What’s that like, and how that goes for you and whether that’s -- how challenging that is, because I think that’s at least a big part of the story here, is kind of whether or not they got the appropriate preparation to handle the plane. I guess, it’s not entirely clear, or different people say different things about it. So I'm curious about your day to day sort of experience in that dynamic? MT: One of the big ones. Matt: One of the big airlines, yes, in the U.S. and I would say most U.S. air carriers are -- we do a good job in training. The pilots are generally skilled and well recruited and they’re finding the right people. In general, if there’s a software update that came out for the Airbus there, they do that periodically, I don’t know, because from a pilot’s perspective unless it effects how I operate the plane, I may or may not even know it. Like some of the software that comes out, a lot of time it's just like navigation database stuff. Something changes in the -- on the way, they build a building so they get that in there. But they make changes and they'll put out -- when they do they'll put out a notice about it. You read it. If it's significant, if it's something that were going to affect safety or how you fly the plane, it would be a much bigger deal, and you have to assemble the training for it. I’ve never really have to have -- I never had something come out with the plane that changed the characteristics of the plane, so I had to change the way I flew it. I’ve just had memos that come out, say for one reason or another we’re changing the procedures. And that happens, a little minor stuff of what would -- there’ll be something that comes out. But it will be tiny, or once or twice a year there might be something that actually you have to start to read and say okay, we’re going to change the way we do things. Mostly we have these manuals that we follow and when we go through additional training, you have to learn all the stuff of manuals, and they’re pretty extensive. So they test you on it pretty hard and then from that point on, it’s when those manuals change that something really matters. And hence so we might have a procedure on how we start an engine for example. And they find out that engines are not lasting as long as they want them to. The mechanics are having to -- they’re seeing wearing faster than they want it. So instead starting in one way they start in another. Or all of a sudden I get a new procedure in the book and I have to figure this out. When that happens they give us -- there’ll be some sort of memo that goes out to the pilots. The manual eventually will be changed. You’re then responsible on a particular, whatever date, because it comes into effect the new procedure, as people go through training, it’s incorporated in the training, they make a big deal about it. They do a pretty good job at disseminating that. And that stuff usually is not that big a deal, it’s a procedural change. But it’s not hedged on build, it’s not unsafe. It’s just something they change. What was going on here I think is that they have a new version of an aircraft, that they have an entire system. The 737. there’s tons of them. They’re so many airlines flying them. It’s all some airlines fly. So if you know -- and there’s different versions. So if you know how to fly one 737, you can pretty much fly the other 737s, depending on the airline you might be able to fly everything that got on the fleet. So it’s not that big a deal. There’s differences, they’re going to bring them for training, they are going to tell you all the differences of the plane versus the old plane. Here’s what you need to learn. If there’s any critical safety things, you have to memorize that, you go through it. From what I’ve read and again, not a 737 pilot, and I don’t work for either of the companies that have the issues, but from what I’ve read about it there’s some question as to whether or not some of these folks even knew the system was in place. And that's been a super big concern from a pilots perspective is if I have a plane I don’t need to know how to do everything on the plane. Look I don't need to know if the toilet system isn’t functioning properly, how to fix the toilet system. I do have a need to know that it’s there, and I need to know the basic. So we have to go through and learn stuff like that, how the air flows through the plane to the passengers. So when you’re getting cool air, warm air, I have to know that system, because if something were to happened -- I at least need to understand that it’s there and how it works, so that I know whether -- in fact what’s going on upfront, that’s causing me a problem. So if they were to put something in that was a safety feature in place, if they didn’t tell them how it works, and make sure that they were at least aware of it, that’s a problem. And that’s an issue. Whether or not that’s the case, I don’t know, I don’t know if that’s been released yet and I’ve seen conflicting reports. But Airbus has similar safety features to this one they have been discussing in Boeing that they think might have been an issue. They work a little differently. They work a lot differently, but the concept is similar. I think one of the questions that they’ve had to work through is just whether or not they had an issue that they resolved with software. They had a hardware issue on the plane, they changed the design. And there was a decent change, and they put bigger engines on. They moved them forward in the wing, and when they did that, it caused a different weight balance than the typical 737 and we were talking about that. MT: We’re talking about weight balance, yeah. Matt: Yeah, so in effect how the plane flies, and whether it tips up or down, and then also, because they’ve got this engine forward, when you put on the bottom of the wing when you give an engine thrust, it creates a pitch moment on the plane right. So if the engine was a little bit forward of that center gravity of the plane and all of the sudden there’s thrust on the bottom of it, you would have a tendency of it pitching those up, if you just had a bunch of power. MT: It’s like turning on an axis kind of thing. Matt: Yeah, or in some planes they have them on the tail, it's the opposite. So you have to be cognizant on that when you’re adding power and that like if you want to go up, if the plane’s got engines on the tail and you gun it, you might actually get an initial nose down even though you are giving more power to go up. So there’s stuff like that pilots need to know, and they got to know that on the plane. Matt: The engines of the 737 were bigger. They were flat on the bottom, they were a bit forward, I believe that it -- and again I’m not expert on that particular plane, but I believe that the combination of that, it basically create a lifting element forward of the plane that caused it to go -- and it could potentially cause it to have more of a nose up pitch then the old ones in certain situations. So the company, to counter act that, to have a safety precaution against a plane that inadvertently went nose up and potentially got into a stall, put a system in place to push the nose over, and that’s not uncommon. I have flown numerous planes that had some version of a system like that. Not the same way Boeing did it, but a lot of planes have a -- something than alerts you that you're about to not have enough air flow over the wings. You need to get a little more air on the wings, just to say, fly it and that in a big jet that usually is a yoke, the steering wheel holding will shake. Airbus works differently but like in Boeings and other similar jets you will get -- the yoke will shake, and it vibrates pretty invasively, and that tells you hey, you're getting close to that speed. And then the panel you're looking has a speed indicator, and it’s a nice big red and white, or some version of a barber pole, looking speed take, that gets closer and closer to your speed and if you get the speed you're looking at, it's getting close to that red stripe, that candy cane looking stripe coming up at you then you know you're getting little too slow. Matt: So all of those things allow a pilot to fix it before there is any issue. If for some reasons someone didn’t and they did the wrong thing and pulled up when they should have pushed down or didn’t give enough gas or something, as a last resort a lot of commercial aircraft have a nose down like automated pitching system, we call it pusher. MT: Kind of reassuring to hear that from a passenger’s perspective. MT: Which might happen if you pitch upward. Matt: So if you pitch upward, it creates a greater angle of antagonist. It basically means that the airflow over the wings diminish. Right, if the airflow start to diminish, the plan must get more airflow over the wings. The fastest way to do that is to point the nose down, because if you're going toward the ground, the air is going to go pretty fast over the wings usually. And sometimes if you were to pull up real quickly just because you changed the angel into the wind you lose some of that smooth air that’s turning over the wing. So they came with this software that tells the plane to trim the nose down. And the issue as I understand it, is that it's trimming the horizontal stabilizer, which is basically this -- the whole big, horizontal part of the tail of the aircraft. So when you see that -- those two fins that stick out horizontally from the back of the tail. Matt: Then there is one that goes vertically, on a little airplane like the one we just flew that whole thing is rigid. It's stuck to the plane. It doesn’t move and at the back there are the two little -- I showed it to you, there is two little elevators that go up and down. So when we put the stick, push it forward and back the wing moves. That makes the nose of the plane go up and down. On a big commercial airplane, the way you trim that, the way you take away the need to put a lot of force on those elevators as you -- because you're going very, very fast. MT: When you have to cruise. Matt: Yeah, right. So the way you trim it, is the entire surface of that those horizontal fins, angle upwards or downwards on the back of the plane. So they angle a few degrees. I think it’s a 2.5 degrees and that a little bit of angle takes away the need to use the elevator. So you get it to the unusual state. So the plane is like flying level, at a neutral state, it's trimmed. As I understand what happened with the Boeing is the software tells that, that horizontal stabilizer to trim, to make the nose go down. Probably that’s a really big surface, that whole tail, on a tail or two much smaller little elevators, two little flaps, type things that when you pull the sticks towards you, you're pulling it towards you does go up, they go and they force the tail down and they force the nose up, like vice versa. So if you were to trim that tail, that horizontal stabilizer all the way, now you're fighting that really big surface with those really little controls, and it gets harder and harder. So initially that would happen, you can just go either direction with the elevators, and it would probably work. But if it went full trim in the wrong direction, at that point you might not be able to overcome it. Matt: Minor trim changes. So knowing that that’s an issue, there have been issues with that pad, there's a big screw sometimes that makes that horizontal stabilizer trim up and down, that whole surface move. There have been big issues in past where that’s broken. It's gone out of control, just started trimming without been told to do so. And when they train pilots there is different aircraft and different systems to stop that. So you can take electricity away from it, you can figure out a way to make it stop trimming so that all you have is the controls that you're working instead of what you are trying to automatically do. Also Boeing there is these big wheels, that are bigger than a pie plate that are on either side of the center console, so either pilot can reach them and they’re obvious, there are black and white stripes so if you are turning, out of the corner of your eye you should see them turning, and they make sound, and you can tell it’s happening. So if that thing is moving those are spinning. And they spin all the time, they are supposed they are trimming. But if they were really out of control, they just start spinning, and you hear this going about, and you down, you look down you see stripes flying, you know something is wrong and you are trained for that. And so you reach down and do the things you trained to do to stop that from happening. This is using that same system to trim the plane. So I don’t if these folks didn’t know that, didn’t compute that the problem that was going on was this stabilizer was running away, that this thing's happening and they didn’t stop at the time. What I read was that the flight, prior to the crash on a Lion Air, I think it was the Lion Air, one of them where they did have a problem and then fixed it and then it crashed the next day. I think that’s what they did, was they basically treated it as a stabilizer run away and then fixed it but then they went and flew it again and they crashed shortly thereafter. Whereas if that were to happen on an aircraft I flew in this country that plane wouldn't be going anywhere until they checked that out. That’s a big, big deal. Right, so if you saw it happen once you just stop. And you could stop it, if you were trained for it. It’s a memory item for the pilot to fly that plane. If that starts to run way you do it now. That MCAS system, it did exactly that but it's using -- it’s a similar issue. The stabilizer is going read, don’t want it to go for some reasons, it's getting bad influence. So the plane thought it was stalling when it wasn’t, so it tried to stop the stall. MT: Which you point down. Matt: Yeah, so it trimsto get the nose down. The pilot try to fight that nose down but eventually lost the battle to that stabilizer that was going the wrong way. So you can see how training could have fixed it potentially. Again we will see what comes out but that might have been the thing. I firstly would -- if that system was in there and they didn’t know about it then that’s a big deal, because then you're trying to figure out what -- you got all kinds of things going on the plane at the same time and you are trying to figure what is incorrect and you have very limited amount of time. Yes. So I mean it's speculation but to me, I would just want to know everything on the plane. We go out of way to make sure that any changes we study for, we prep for, we train for and in a worst case scenario you can turn the stuff off. And just fly it like a little plane and it flies just fine. Airbus had similar issues with some of their stuff in the past, and I haven’t heard any in a long, long time. In general it's a really safe place. So I don’t know if that answered your question, probably too much. MT: No, I think that’s good. That’s the kind of -- we only know what we know now but I think it helps to kind of understand the role. The hardware and software are meaningful components sort of regardless. So like the pilot has responsibility but I think also based on what you described, they both need to work together. The pilot needs to work together and the machine needs to work together. So it's -- I think we got early on after the crash, there was a lot of well, the pilot should have done -- we believe that the pilot should have done something differently. And then other people are saying, well Boeing should have provided certain features or there were up-sell options that they should have just provided or something seems to have gone wrong with these planes and whether that’s a systematic problem, that was part of Boeing process, or whether it was -- we don’t know. But what I’m getting from this is that these are -- on the one hand the mechanics of flying it's like, relatively straight forward. But these are the complex systems. You have introduced a lot of fail-safe measures, some of them are automatic and some of them are human driven. But either way, there is this fundamental thing that the human has to work with the machine to make it all go. So it's going to be rare where the machine is entirely at fault or the person is entirely at fault. Matt: Yeah,most of the ones I've seen recently, like that there was an Airbus, the last Airbus when I studied, I don't about everyone that has an issue but there was that really awful flight from Rio on Air France quite some time ago. And it was -- Airbus took off, it had sensor failure, and it was very similar kind of what happened but it ended up being a pilot induced thing, because the pilot was giving bad information to the plane and the plane realized that it was getting bad information and turned off some of the protections. And the pilot reacted and reacted poorly for a long time and multiple pilots didn’t interpret the information quickly and ultimately led to disaster. We studied that stuff. I read an entire book on that. That particular thing could not happen to me, that's dangerous, but I understand it, and I know how to turn off the system. I -- we train and train and train. I think most of these systems were designed as safety precautions against human error. And then the issue becomes now the machine is taking over and you don’t know who is flying a plane, whether you are or the machine is, you don't know whether the auto pilot flying it or this MCAS system is flying it. Whether is your input working, because they were getting bad information. The sensors were bad, but best I could tell these pilots all had been trying to say, turn that off, and I will look outside and just keep the nose proper on. Matt: Yeah, it'snot hard. So if there is or was an issue where they couldn’t do that, than I would be concerned. I would imagine that if that’s the case that has been quickly fixed with some version of software update, or software change. But given the profile of this and all articles where they came out talking about the FAA, Boeing and giving them some responsibility for their own testing, I don't see the FAA being quick to say, okay, cool, software fix is good, you're back in business. They are going to dot every i, and so it might take a second. But I would imagine if there is some issue and even if it turns out that that wasn’t the issue Boeing is going to go back and make sure that they fix or they have gone out of the way to make sure that these perceptions cannot be correct, that the plane is not going to take over the way that can’t be overwritten. Matt: So I would be worried about it. I mean if they pull it back, if I flew that plane or if they put it on tomorrow, as long as they showed me everything that was in it I will be fine flying it. MT: That brings me to my sort of, I think the one other question that you can help us with is, I think Indonesia has grounded these planes. I don’t know if they put them back in, I think, but throughout the world there is sort of governments are grounding the plane. And there are some pressure on Boeing now which did apologize, this past week in some measure for what happened to get some additional responsibility. There was a press release and then there is pressure on Boeing now to also ground all these planes. And so what I wanted to hear from you is, like say that your Airbus plane is grounded, like what's the impact there, like what happens. Matt: Personally it means I could go on vacation. But what's the impact to, I mean other than time off until they fix it, that the pilots, the way we're trained and the way it works in American carriers is that you're trained on a particular type of aircraft. And so if I flew, for example, if I flew Airbus 320 years for 20 years and then one day change planes and I went flew a Boeing 737. As soon as I start training for that Boeing 737, even though I've got the licenses and I’m legal to fly that Airbus, once I start training on the new plane, my company won’t let me fly an Airbus. I would have to go through training again. Because the systems are complex enough, and they don’t want you mixing thoughts of what to do in one airplane versus another. So as a safety precaution that’s the rule, like if you chance planes and the ones that are really similar like I fly three different types of Airbuses, that are all remarkably similar, so it doesn’t matter. I can just make minor difference, minor tweaks for each one, and that’s fun. But if you were to make a big change you don’t fly the other one anymore. So if I were on an airplane where suddenly I couldn’t fly anymore, it was 737 MAX and I was legal to fly on the other 737s it probably wouldn't affect me much at all, because the company would just put on the other 737s and I keep flying. And now they got fewer planes, so there is more pilots per plane, so company would ease off, maybe I don't know, maybe they just fly them more. If it were something where that, like if they grounded the Airbus fleet that I’m on, and it was the whole fleet, I would be off until they fixed it. And when then they fixed it, they would almost certainly be some level of training that I would have to go through to understand what they did and how, and once we were tested on that they make sure everybody was up to speed then it would be back to business as normal. I will tell you something like this happens the people in my industry very -- it becomes the discussion in every van to a hotel, at the end of the day. And we talk about -- if I’m in the van, the guy flying 737 talk about it and they give their commentary. Everybody's got an opinion. But it's -- the upshot is we want to learn and we want to know how not to let something like that happen because we would like to go home safe. So we start, and then we figure it up and the plane are becoming more and more automated and the flip side of this is -- you always get a lot of attention when a crash, people die, it’s a big deal. It makes the news, but the reasons these types of incidents are happening is because they protected against so many possible thing they could happen, that every once a while one of the systems goes wrong. Matt: Like it's really, really rare and if you look at how many flights occur with no issue whatsoever, it's -- I would not be, well I don’t want to say it, but over the course of my career I’m hoping that I make it through a whole career and pilot are still relevant by the end of it. In the interim that automation is going to get better, better, better and they are going to figure out ways to have fail-safes and all at some point probably switch from being the person, that's physically moving the plane from one place to another to the fail-safe, should something go wrong. That would be boring for me. So I hope that doesn’t happen. MT: You can go up in the little plane and pull some more Gs. Matt: Right, we will go up in the little plane. MT: Okay, thanks a lot, it’s a great conversation. Matt: No, problem.I tend to talk a lot so. MT: No, it'sreally wonderful. Look forward to seeing how it's received. All right, then. Bye. Additional disclosure: Neither Mike nor Matt have any positions in any stocks mentioned. Nothing on the podcast should be taken as investment advice.